The answer is not go on a crazy juice diet or starve yourself but to focus on getting healthy. Many believe that if they eat less and do more exercise then they will drop fat. This may work to begin with but in most cases this is not sustainable and it is the main REASON why people struggle to drop fat. Here are 7 top reasons why you may be struggling to drop unwanted body fat. 2. Not Eating enough – People think that lower is better but cutting carbohydrates or calories too low can cause thyroid disfunction and your metabolic rate to slow making it harder to drop fat. Most people do not eat enough food and make the wrong food choices. Not eating enough also leaves you with a lack of energy, and a loss of muscle, making it even harder to drop fat and tone up. 3. Lack of quality sleep – a persistent lack of sleep causes imbalances in the release of several hormones, that affect stress, appetite and metabolism. It also reduces the amount of growth hormone which helps prevent ageing, burn fat and build muscle. 4. Too much stress – Stress inhibits fat loss and most of us who are busy put a lot of stress on our mind and bodies. Physical stress from work, exercise, studying, along with inadequate sleep and rest, mental and emotional stress from being unhappy with aspects of your life. If this is coupled with poor nutrition the body and mind struggles to cope and switches to survival mode. We often stop exercising and start taking the easy option of takeaways, comfort food and alcohol. 5. 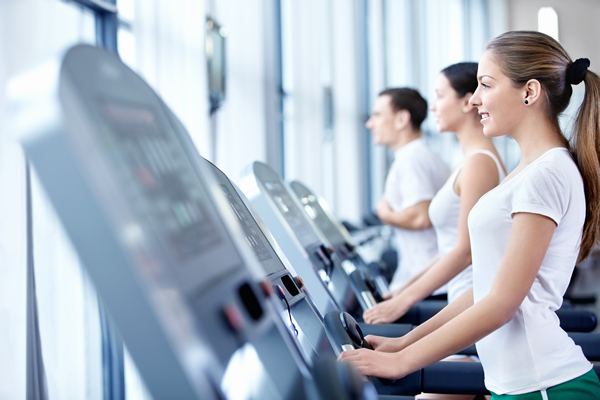 You go running or just do cardio work – running and the cardio machines at the gym are not an effective long term way of burning fat. Spending an hour running will burn calories but when you stop running you stop burning calories and your metabolism returns to normal. I bet you feel hungry after as well? Also the body adapts quickly to aerobic activity and it becomes more efficient at burning fat for fuel so you burn less fat for the same amount of work. So to burn more fat you need to run faster. High intensity interval training is a better option as it is less time consuming and creates an after burn allowing you to burn more fat during the exercise & for up to 24 hours after you have finished. 6. You are not building muscle – By increasing the size of your muscles through resistance and weight training you will help the body burn off extra calories as muscle needs more energy to sustain itself each day than body fat does. You will also benefit from the EPOC after burn effect as above which will elevate your metabolic rate for unto 24 hours post workout. It will also firm up the muscles and improve your body shape. “ I am on a diet so that I look good on the beach in 6 weeks” You are programming your mind to a life of yo-yo dieting. If you really want to make lifelong changes to your body shape and to how you look & feel then you need to programme your mind for CHANGE and not just a quick fix. It then requires a commitment to making changes to your habits and behaviours. There are lots more reasons but if you take action on these alone you will be more successful. Dropping fat and getting in great shape is not easy especially if you are doing it on your own. A progressive training programme structured to maximise fat loss, improve posture, tone and tighten your body so that you look and feel confident. Weekly monitoring of your progress to ensure you are getting the best results possible and to keep you accountable. Expert coaching and guidance so that you get the most out of the programme. Daily support and motivation to keep you on track, so you will never feel like you are on your own. The programmes are application only and spaces are limited. 1. FitCamp: where you have 3 small group Outdoor Fitness sessions a week for 4 weeks at a cost of £69. 2. FitCamp@home: where you have access to daily 10 minute online workouts that you can do at home at a cost of £47 for a 28 day programme. The minimum programme is 4 weeks, and during this time you can drop up to a stone in body fat, tone up and greatly improve your fitness. If you think you are ready to make changes so you too can feel more confident about yourself and achieve what you deserve then click the link below to Apply NOW.